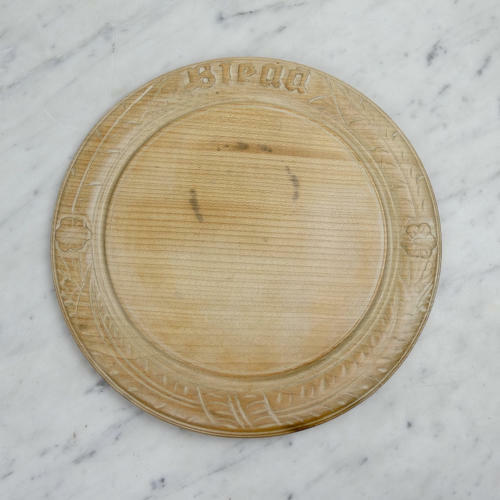 A Victorian breadboard carved from beechwood. This board has fairly simple carving to the border and it dates from c.1900. It is carved with the word ‘Bread’, two small flowers, and long stylised leaves. The wood has quite a pale patina and the carving is slightly worn from use. There is a stain where something circular has been placed on the board but other than that it is in good condition.